I had this item created at the manufacturer and then I finished it off. 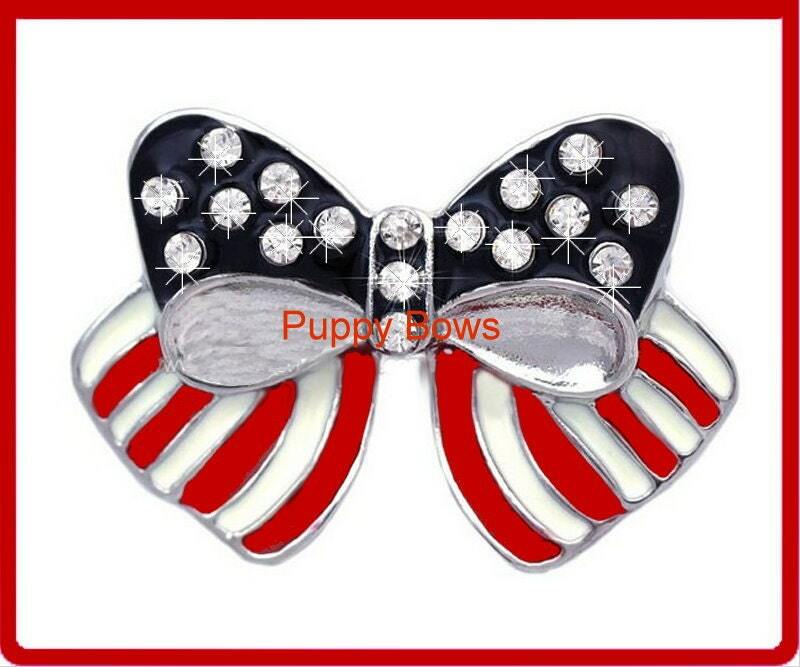 It has a french barrette attachment in red, white, blue and silver with 17 crystal rhinestones and measures 1.75" x 1.25" No one else has this item. Great communication. Fast delivery and exactly as posted. Hope to do business again.